We recently sat down with Loni Brown, Head of Talent at Entelo to discuss recent research into the dearth of gender equality in the world of venture capital. HR Daily Advisor: Gender equality in the workplace has been a struggle, especially for some industries. Do you find that women in venture capital are particularly underrepresented? Brown: There’s no question women in venture capital (VC) are underrepresented, though unfortunately, it’s not specific to VC firms alone. Entelo released a similar study in March where we examined tech roles and found that women represented only 18% of all tech roles and only 10% of tech roles at the executive level. When it comes to VC, we see the same trend: the more senior the VC position, the lower the proportion of women. At the entry level, women are in 44% of VC roles, and much like tech, the percentage drops to only 28% of roles at the executive level. HR Daily Advisor: What makes venture capital an industry that has such low representation by women? Brown: Experts point to many possible reasons for gender inequality in the workplace, and most of this research is specifically around pay disparity. In fact, Glassdoor Economic Research found that while overt forms of discrimination may be a partial cause of the gender pay gap, they are not likely the main cause. Instead, occupation and industry sorting of men and women into systematically different jobs is the main cause of the gender pay gap, and some of that could be the reason for the representation gap, as well. HR Daily Advisor: Your study shows that only 28% of executive roles are held by women, and only 15% are partners in venture capital. How do those numbers compare with other industries? When we compare with the Entelo Women in Tech Report, we find that this discrepancy isn’t as severe as others. When we examine all tech roles, we find that women represent 18% of all roles and only 10% at the executive level. HR Daily Advisor: What can companies do in general to try to improve their gender equality? Brown: The factors contributing to the problem aren’t all in our control, but there are a few things companies can do to ensure they’re mitigating unconscious bias at the sourcing level. For example, companies can use technology to reduce unconscious bias by removing demographic information that might sway a hiring manager’s perception of a candidate. However, technology will not solve the problem alone. Practicing inclusion begins long before a candidate is in the door. During the hiring process, organizations can do more to showcase how important inclusion is to their organizations. Interview questions that map back to company values or ask directly about prior experience with diversity and inclusion training or programs can help communicate to candidates how important inclusivity is at a company. 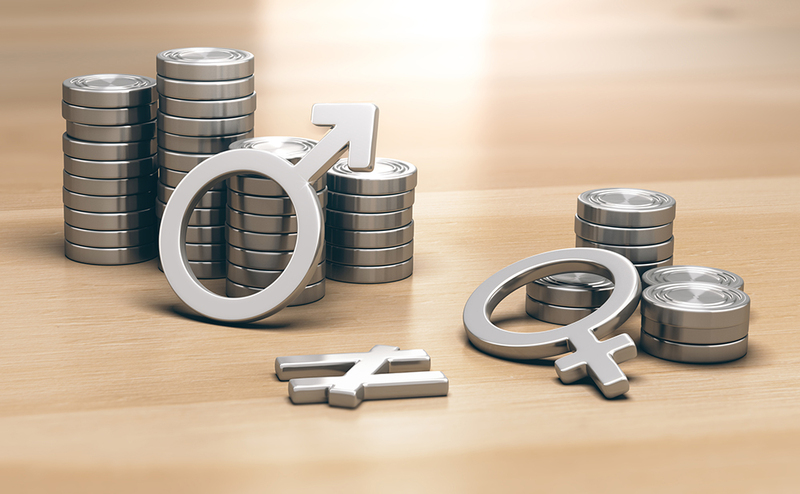 HR Daily Advisor: What can venture capital companies do specifically to improve gender equality? Brown: While many blame social pressures and some even suggest that a self-selection bias is the problem, in the case of venture capital, it, sadly, has a lot to do with the candidate pool. Because venture partners come from few select places, i.e., former CEOs or executives at competing firms and entry-level VC professionals from college networks and/or having a successful exit, there’s little gender diversity within those talent pools to begin with. Research shows that employer policies that embrace salary transparency can help eliminate hard-to-justify gender pay gaps and can play an important role in helping achieve balance in the workplace. But of course, it doesn’t stop at pay. Given the fact that candidate pools in venture capital tend to be less diverse, organizations have to work hard to make sure they are offering inclusive cultures that attract a diverse range of candidates.